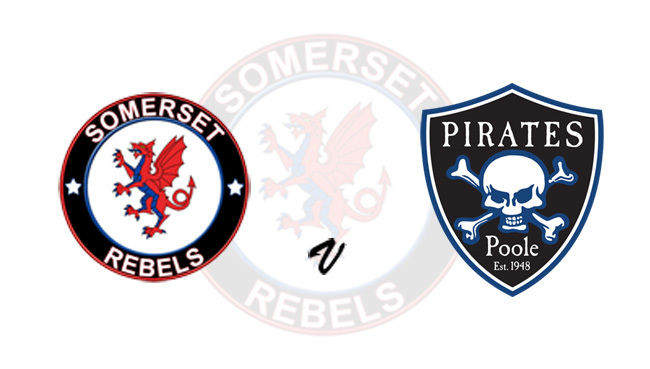 The 'Cases' Somerset Rebels go into action for their 20th season when they open their doors at the Oaktree Arena on Wednesday (April 3rd), marking the occasion with a challenge fixture against Poole Pirates. The fixture brings together some familiar names and a swift return to the Oaktree for last season's promising Rebel Jack Holder, who is back with his parent club for the 2019 season. He is one of four Pirates that will be in action for this meeting, who have given service to Somerset sides over the years - Brady Kurtz, Josh Grajczonek and Richie Worrall the other three. Rebels boss, Garry May, another with Poole connections is keen to get the season underway but plays down the significance of racing against the club often described as the 'Manchester United of Speedway'. "I have heard that said many times and that teams always went to go out there and beat them, but to be honest, anyone that knows me will know that I want to beat every team we race against. I know it is a challenge fixture, offering the riders to try a few things out but I will still be getting behind them and hoping we can turn Poole over." The latest 'connection' between the two clubs is Argentinian rider Nico Covatti who made a great impact as a Rebel in 2018 and is the only member of the Rebels side to have been retained this term. Covatti who claimed the Argentinian Championship again during the winter has also been snapped up by Poole now that the two clubs are in separate leagues, but May insisted that the Somerset would get first call on him for this meeting. "I was keen to have Nico riding for us but to accommodate that, and to try and equalise the team strengths, we had to agree for one of our reserves to be loaned to Poole for one night only and so at our Press Day last week we tossed a coin between Henry and Anders . Henry Atkins won the right to decide and so Dorset-born Anders will be a Pirate for the evening and I have booked Paul Starke, another who has also ridden for Poole in the past, stepping in as a guest for us". The Rebels give club debuts to Rory Schlein, Valentin Grobauer and captain Chris Harris together with former mascot Henry Atkins. Completing their side will Todd Kurtz who returns after being a 2014 Rebel and for this meeting will be in opposition to his younger brother Brady. Schlein recovered from a track crash at Ipswich last Thursday that left with a dead-leg and groin injury to finish fourth in the Peter Craven Memorial Meeting at Belle Vue on Saturday evening, an event won by 2018 Rebel star Jason Doyle. After the fifteen heats of team action, the racing will conclude with a special 'heat 16' as a tribute to Hughie Amor who lost his battle against cancer back in January. Hughie, based in Poole, was well known in speedway circles offering his trade skills to fit our riders' vans over the years and was a regular visitor to both the Oaktree Arena and Wimborne Road. Wednesday will be the absolute deadline for tickets to be purchases for Saturday's 20th Anniversary celebration Dinner which is being held in the Oaktree Arena Clubhouse. A two-course dinner, post dining entertainment provided by Kelvin Tatum M.B.E and Nigel Pearson together with a special raffle and auction is on offer for just £30 per ticket with just a few seats still available by calling Debbie on 01278 782216.